We’ve all been there. The need to ingratiate yourself with a new client. Nail the job interview. Make a bold point in a meeting. Impress the boss. Repair a damaged relationship. While trying hard can show passion and commitment, it can also come across as disingenuous. Forced. Awkward. It’s not who you really are. Sometimes you even catch yourself, “Stop trying so hard”. There is a fine balance that we must strike between effort and trust. Effort that illustrates our intention and trust that our natural and relaxed self is the most powerful and compelling. Of course hard work is the first part of the equation. You have to be prepared. Know your stuff. Cultivate your craft. But when it’s “go-time”, there needs to be a feeling of letting go and trusting that the hard work will shine through your natural and illuminating lens. 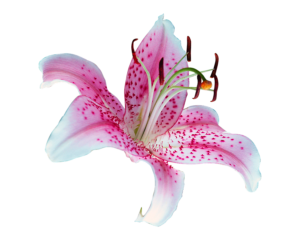 I love the expression “Don’t gild the lily.” It’s difficult to improve upon what’s already beautiful and perfect. When we try, we get diminishing returns. It’s a great little self-reminder for those moments when it can be easy to try too hard. Here’s a simple Aikido exercise that helps bring to life this point. It’s an easy test that allows us to feel how strong we can be trusting relaxation and being natural. The experience is discernibly different when we add too much and try too hard. Would love to hear from you on your balance between effort and trust.